Contact St. Louis Towing Services! Thank you for visiting our site! We invite you to contact us for any of your towing, parking lot monitoring or roadside assistance service needs. We pride ourselves in our ability to provide excellent service at affordable rates! So please call us so that we can serve you to the highest of your expectations. You can call us directly at 314-888-5348 or you can also fill out the form at the top right hand of the screen with your contact information and any details relating to the assistance you need. One of our wonderful service professionals will contact you right away in regards to your service request. We thank you for visiting us! 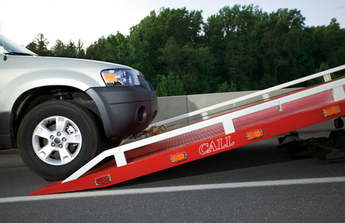 At St. Louis Towing Services, we provide an array of towing services that are designed to fit any of your towing needs. We have the capacity and equipment to service private, commercial, recreational or heavy duty vehicles, as well as the required resources for removal and/or recovery of the same. We are proud of our highly experienced professionals, and are able to take care of any urgent, ongoing or unlimited service situation needs. If you have a commercial or residential place where your parking lot needs monitoring, we are able to help you. Our service professionals will meet with you regarding your preferences for parking rule enforcement, and will always respect any vehicles or resources in their care. In the event that there is unauthorized parking in your vicinity or lot, St. Louis Towing Services is able to provide enforcement for you. We can provide digital images of any violations performed, as well as provide vehicle history reports for your reference. St. Louis Towing Services is proud to provide reliable, responsive and integral roadside assistance to all of its customers. We understand that there are unexpected situations that happen, and it is our job to be there to assist you with excellence in order to get you back on the road again safely. We provide many services, and are able to tailor them to fit your needs. Please call us if you have any questions regarding whether we can assist you with your needs so that we can do our very best to accommodate and serve you. Thank you for visiting us! Our towing and recovery fleet has been proudly servicing the city of St. Louis and surrounding areas including; Richmond Heights, Clayton, Maplewood, Jennings, Lemay, Webster Groves, Ferguson, Affton, Overland, Mehlville. Again, please feel free to contact us at 314-888-5348, and we will be happy to assist you with any towing, parking lot monitoring or roadside assistance needs you might have. You can also fill out the form at the top right hand of the screen with any details regarding your service request, and we will connect with you right away to provide a solution for you that meets your needs.